There are different approaches to start a new project with SAP UI5 or OpenUI5 (let’s call it simply UI5). One way is to use the SAP UI5 Eclipse Tools described in the blog post „SAP UI5 – Quickstart“. The generated UI5 Application Project is very, very basic and you are bound to Eclipse to do your development, which is not everybody’s favorite IDE of course. 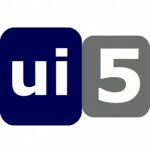 On the other hand there are already some really nice UI5 Tools, which can help you. For example the Yeoman generator for OpenUI5, which is based on node.js and can generate a nice application structure or only single components. Another example is the Sublime Text 2 Package for UI5/OpenUI5, which contains Snippets and Templates and is very useful.